BABYLON PATTY – TAKES . . . FLIGHT !!! 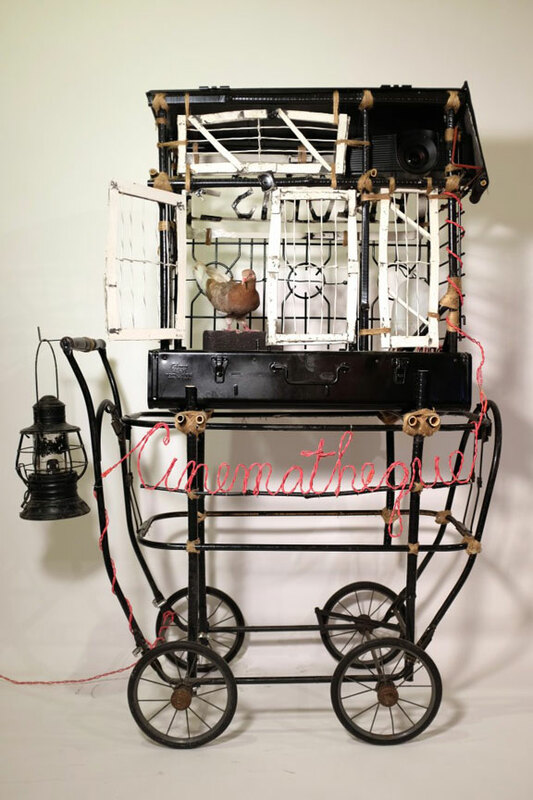 PAT McCARTHY, ‘FLIGHTS CINEMATHEQUE’ (ISSUE 2), 2015.
sculpture and Film, (porcelain, rebar, bamboo, coat hangers, bottle rocket stems, plastic, denim, brick, pigeon feed, Chia seeds, projector, media player). one: I coined . . ‘Babylon Patty’ – so, unlike ‘GOGO’ – just remember where ya heard it – first !! 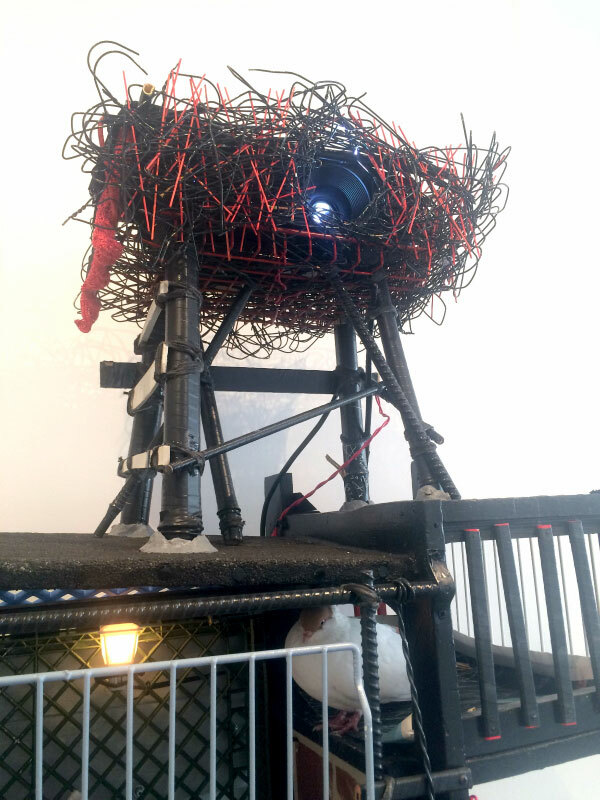 two: pigeons ca 2015 are what canaries were – to the miners of yore !! the metaphor is alive – with the sound of rushing wings !! pigeons are – the cultural canary of our times. believe it !! Film & Sculpture, (mixed media). 45 x 20 x 60 in. tall.